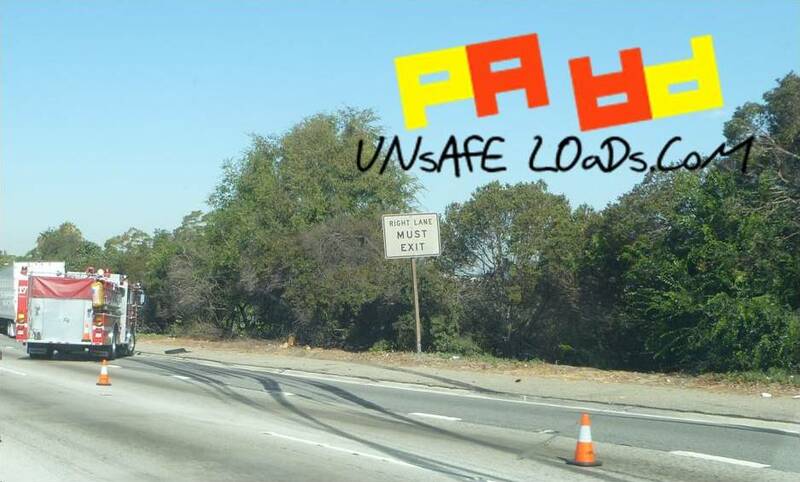 UnsafeLoads.Com was inspired by a near death experience on a California Freeway. One sunny afternoon on the 110 Freeway just south of Downtown Los Angeles, I noticed a pickup truck overloaded and traveling at a high rate of speed. As I approached the vehicle in the normal flow of traffic I noticed the tailgate was loose. Seconds later, the tailgate partially dropped. The pickup began to drag the tailgate and in the blink of an eye, the tailgate flew off the truck and into traffic. I narrowly avoided that pickup, but something changed in me. I began to notice unsafe loads everywhere. I thought, somebody should build a site with photos of unsafe loads, claim that its for the ultimate good of the people while secretly hoping to sell the site for millions of dollars. I really hope someone builds a site like that someday. The site has grown to not only include unsafe loads on the highways and byways of the world, but almost any load that might just be unsafe. Shopping carts, airliners, go-carts, motorbikes– you name it– if it looks unsafe you might find it here. Feel free to browse our loads, share them with friends or even submit a potential load thereby generating free money for us! So go ahead, take Unsafe Loads for a spin! One day soon you might just find yourself shouting, UNSAFE SIR!